"My Cousin Izzy"/"It's All In The Executions"
In the final moments of “It’s All In The Executions,” the jester (Ben Presley) gives us another variation on Galavant’s theme song, not only summarizing where the various story threads are at the end of this first season, but speculating if there will even be a second. “Will all the singing kill our Nielsen ratings?” he coyly belts after one couplet. “But if there are more shows…” begins another. The metafictional lyrics make it clear that creator Dan Fogelman and the composing team of Menken, Slater, and Lennertz are well aware of their series’ inherent riskiness. So you would think they’d end Galavant’s first—and, with steadily declining viewership, perhaps only—season by tying up the narrative’s various loose ends. That would be the safe thing to do. But we don’t get that kind of resolve. We don’t get Galavant and Princess Isabella galloping off into the sunset. We don’t even get their first kiss until 14 minutes into the eighth episode. Without spoiling too much, the new couple gets separated, we have a new pair of villains seated on the throne, and the fate of virtually every character is up in the air. In other words, the show-runners have (two!) balls. It’s not just the lack of resolution that shows creative boldness on their part—it’s the decided shift in tone. While Galavant has placed huge—if somewhat inconsistent—emphasis on reinventing storybook tropes from the get-go, it’s always been through the genre vehicle of farce. But in these final two episodes, there are moments that achieve genuine poignancy, even if the situation itself is rooted in comedy. When Galavant and King Richard decide to put aside their differences and murder Richard’s throne-seeking brother Kinglsey (Rutger Hauer) in his sleep—a move that, in the opposite of the show’s intent, would wrap up every last storyline rather nicely—they of course end up getting sloshed at a tavern, which botches their plan and lands both of them in the dungeon. With starry-eyed intoxication, the imprisoned Richard croons a childhood lullaby, “Goodnight, My Friend,” that his nanny used to sing to him and Gareth. Everyone in the castle hears it, causing them to take pause and show affection to whoever’s near them. Granted, we see some intentionally silly scenarios, including an executioner who takes off his hood and locks one of his victims in an embrace, but the whole thing is rather sweet, the final step in Richard’s journey towards unconditional sympathy. Likewise, we see Gareth display true dread at the thought of having to kill his king and best friend after getting forced into becoming Kingsley’s champion for the crown. Then again, it’s Kingsley who also ends up bogging down the first season’s home stretch. The character’s written as an actually imposing villain designed to offset King Richard’s daintiness, but that’s just the problem—Kingsley isn’t imposing. Sure, Rutger Hauer has been brilliant and plenty imposing in any number of roles, from his work in Blade Runner to Sin City, and, in another Medieval setting, Ladyhawke. Here, however, the writers refuse to play it completely straight with this seasoned screen villain, instead giving him several comic bits. That wouldn’t be a problem if he was able to land them, but as Kingsley, any comic timing Hauer may have goes out the window, as there’s a deadening sluggishness to each of his lines. When he ends one ominous royal court scene with the word “awesome,” it’s not delivered with enough conviction, relish, or speed to be funny, and, as a result, puts an awkward wedge in any menace he’s built up so far. It might seem unfair to pin the final two episodes’ flaws on one character, but let’s not forget, Kingsley quickly ascends to the role of primary antagonist, and, with Hauer’s acting style clashing so severely with the rest of the show, he kills the momentum anytime he’s onscreen. You don’t know whether he’s supposed to be amusing, scary, or both, and I’m not sure Hauer knows either. With the rest of the show evolving toward a (slightly) more serious note for the big finish, it’s a shame the central conflict can’t keep up with this tonal shift, or at least provide some hearty comedy. 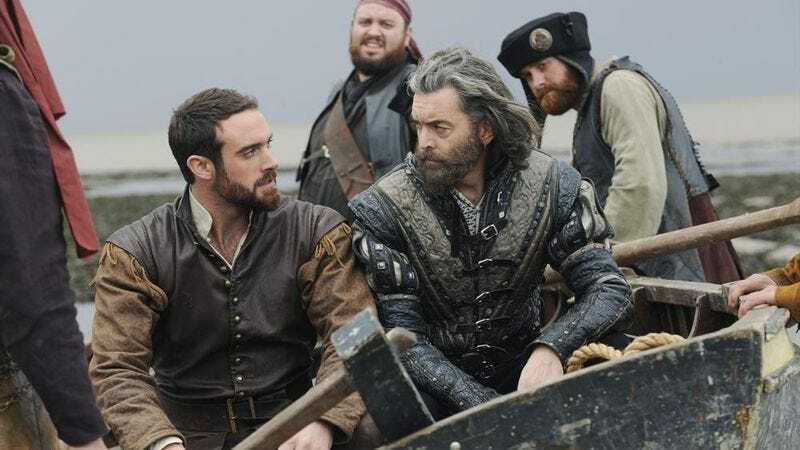 Still, any kind of evolution (especially on a comedy series) should be commended, and if you had asked me a month ago how I thought Galavant’s first season would end, I definitely wouldn’t have predicted such narrative defiance. The humor was uneven, not every song worked, and almost of every guest character made me groan, but I’ll be damned if this weird little series didn’t end up surprising me. Hopefully we’ll get more surprises next season, despite what the Nielsen ratings—and the show’s own theme song—have to say. We get yet another delightful number between the Chef (whose real name is Vincenzo!) and Gwynne, who describe all the ways they’d like to poison the castle’s upper class. I think “blue blood” and “spew blood” may be the show’s best rhyme thus far. Did The Simpsons invent the idea of the words “bless you” preventing your soul from escaping your body during a sneeze, or was that already a thing? I’d watch an entire miniseries of Galavant and King Richard drinking together in a tavern. If there’s a season two, maybe we’ll at least get one episode with them stuck together on a boat. 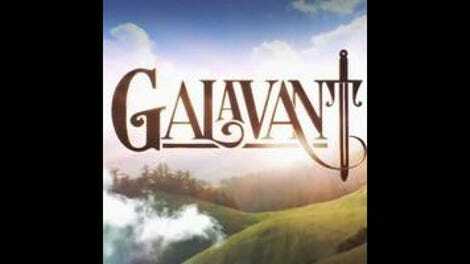 I had a lot of fun reviewing Galavant as my first regular series for The A.V. Club, and I hope you all had fun discussing and debating it in the comments section. Thanks for reading!